The updated Galaxy A series is now available to purchase in most countries, but for a short period of time the lineup was sold exclusively in India – the devices have been designed with both Indian and Chinese consumers in mind – and now it seems as though this move is paying off. Speaking to Indian publication IANS, the Chief Marketing Officer and Senior Vice President of Samsung India, Ranjivjit Singh, revealed that during the 40-day period starting March 1 the South Korean company successfully shipped 2 million combined units of the latest Galaxy A-branded smartphones in India. These sales figures translated into a turnover of $500 million, which Singh believes is “a record for any brand in the industry” when the short timeframe is taken into account. The number also puts Samsung on track to reach its target of $4 billion for the Galaxy A lineup by the end of the year. In fact, the company now feels confident that it can surpass the target. 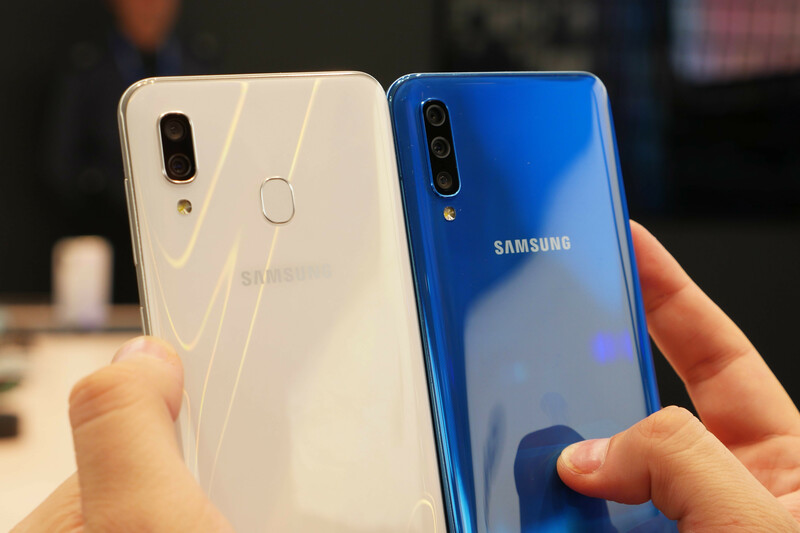 Samsung kicked off the revamped Galaxy A lineup back in late February with the Galaxy A10, Galaxy A30, and Galaxy A50 which are the three devices Singh is referring to. These phones, unlike previous models, focus primarily on the features that have become increasingly important to consumers. Namely, they boast notched displays, plenty of storage, and pretty decent cameras – the Galaxy A30 & A50 include dual and triple-camera setups respectively. The three models mentioned above will naturally continue to play an important role throughout the rest of the year, but Samsung is hoping the Galaxy A70’s release in India next week and the Galaxy A80’s arrival in the market next month will boost demand to a higher level. 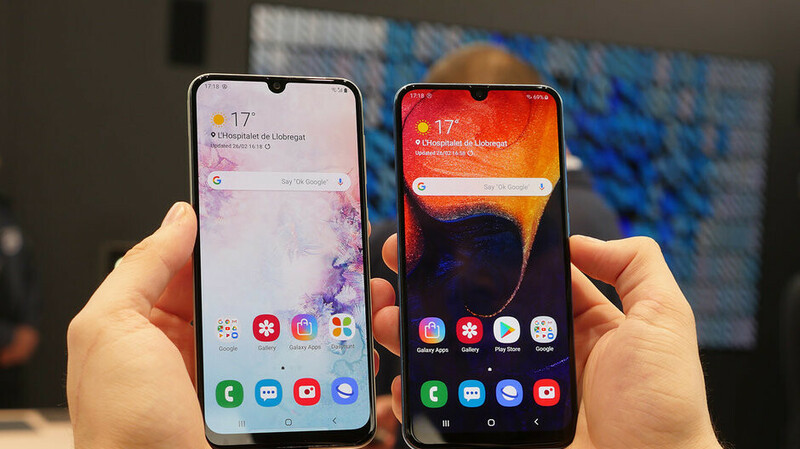 Alongside these, the company is relying on the Galaxy A20 and Galaxy A40 to fill in any gaps in the lineup and also expects the recently-released Galaxy A2 Core to “be huge in terms of volume.” This device is also expected to tempt people to switch from feature phones to smartphones for the first time. These models are key to Samsung’s long-term success in India. After all, they represent the company’s chance to finally take on Chinese rivals and solidify its position as the biggest smartphone manufacturer in the market. What does this mean for Samsung on a global scale? Samsung’s performance in India could also be key to maintaining a lead over Huawei on a global scale. After all, while the latter’s growth in Europe and China shows no sign of stopping, the brand isn’t as popular in India, which is currently one of the few major smartphone markets still experiencing strong growth. Huawei currently has the goal of becoming the world’s largest smartphone manufacturer by the end of this year or the first quarter of 2020 at the very latest. To achieve this target, the company is relying heavily on its mid-range smartphone lineup which continues to see strong growth. Alongside this, Huawei’s flagships have also become increasingly important. In fact, the Huawei Mate 20 series recently achieved sales of 10 million units in just 4.5 months, which is a record for the company. Soon, though, this achievement could be surpassed by the Huawei P30 series which was released earlier this month. Another important area for Huawei is its sub-brand Honor. Currently the brand is gearing up to release its new Honor 20 flagship series but, in the long-term, Huawei hopes it’ll become the fourth largest smartphone brand on a global scale. Additionally, it expects Honor to become the second-largest brand in China – Huawei will presumably be number one. Sounds like it was already worth it for Samsung to ditch the J line. Oneplus is just a mid range pretending to be flagship phonen. It lacks too many things. A80 is definitely going to make it difficult for OnePlus especially with the increasing costs and mediocre cameras of OnePlus devices. P.S. I switched from S8+ to OnePlus 6 (my current daily driver) and I know the Pro's and Cons of both brands. They sell them in the US, Go order one from b&h. I got mine from them. Two million sold in 40 days and so other manufacturers while apple sold around 20 million a month and still consider a flop and doomed to these android fans. But Samsung mobile division keeps failing to make a decent profit for many years and android fans are so happy with it. Samsung makes profit from more then just their mobile division. They sell appliance TVs screens to iturd and they also make simese dildoes for you and your mom to share. This is India, not worldwide. Apples and oranges.